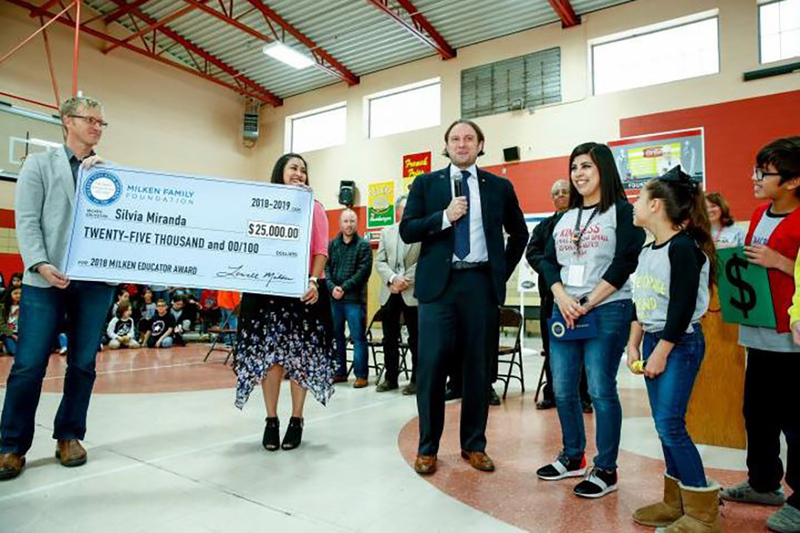 SANTA FE — Silvia Miranda, fourth grade teacher at Mesa Elementary in Clovis, was named New Mexico’s 2018-19 Milken Educator by the Milken Family Foundation Nov. 21. Dr. Jane Foley, senior vice president of Milken Educator Awards made the announcement. The honor, one of education’s most prestigious recognitions, comes with an unrestricted cash prize of $25,000. 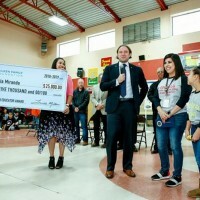 Nationally, Miranda is one of up to 40 Milken Educators to receive this award in 2018. The recognition is not a lifetime achievement award. Recipients are selected in early to mid-career for what they have achieved and for the promise of what they will accomplish. Encompassed in the recognition is the responsibility for those honored to stretch their professional practices and leadership to even higher levels. Award recipients are also invited to join the Milken Educator Network, a distinguished group of educators coast-to-coast whose expertise serves as a valuable resource to fellow educators, legislators, school boards and others shaping the future of education. For more information about the Milken Educator Awards, visit www.MilkenEducatorAwards.org or call the Foundation at (310) 570-4775. Follow the Awards at at www.twitter.com/milken, www.facebook.com/milkeneducatorawards and at www.youtube.com/milkenaward.